On August 17, eleven young women arrived at the African Novitiate in Sunyani, Ghana to begin their time of intense discernment. They will learn the spirit and charism of the Congregation and its history. They will study the Constitution of the School Sisters of Notre Dame. And they will grow in their own relationship with God and community. Here is a short video of their arrival. Please continue to pray for them in this special time. Categories: Uncategorized | Tags: Africa, entrance, Ghana, Novices, Novitiate, School Sisters of Notre Dame, Sisters, Sunyani, Women religious | Permalink. 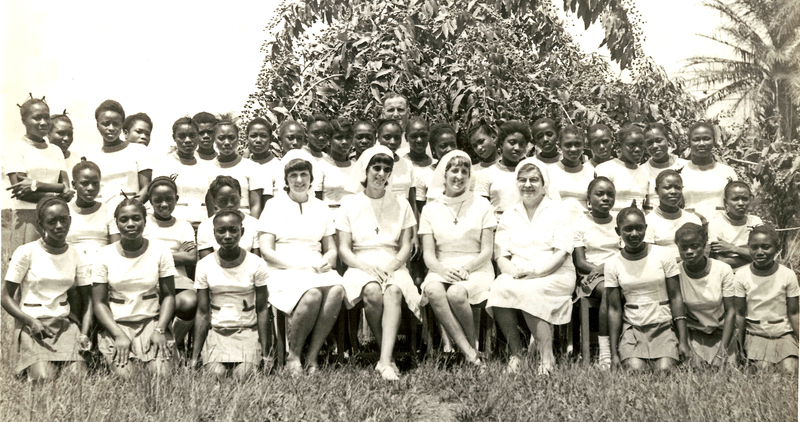 Today marks the 40th Anniversary of School Sisters of Notre Dame arriving in Sierra Leone, West Africa. We continue to thank our God for the amazing experience of working with and for the people of Sierra Leone. The first mission was in Yengema at Yengema Secondary School. Until our arrival the school only had male students. With the coming of the Sisters the girls section was opened. Four sisters were sent. 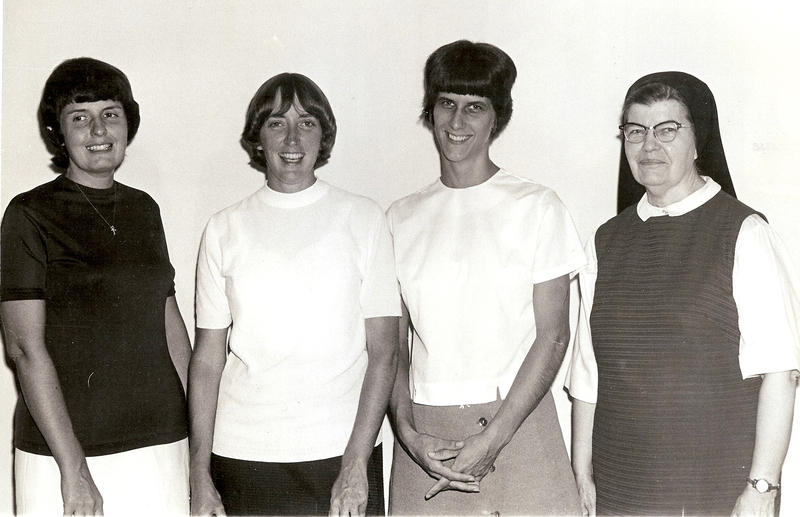 They were Sister Inez Bocklage, Sister Andre Aubuchon, Sister Eileen Buseman and Sister Mary Louise Jacobi. Sierra Leone is located on the West Coast of Africa. The country ‘s northern border is the 10th parallel so it is a tropical country. It is rich in natural resources. Yengema is located in the diamond mine region of Sierra Leone. Most of the time that was an advantage because there were better roads and more resources. It was, however, one of the first places that was attacked during the war that began in 1992 because of the desire to control the diamond mines. Sisters loved teaching at Yengema and being a part of the parish community there. They were active with the CWA (Catholic Women’s Association) and the YCS (Young Catholic Students). The Sisters learned much from those with whom they lived about what it means to live joyfully even amid meager circumstances. Other missions were opened in Kabala, Port Loko and Mange Bureh. Sisters had to leave Sierra Leone during the war for their own safety as well as for the safety of those around them. So there were not always Sisters in Sierra Leone during these 40 years but we are happy that there are now 8 sisters in the country in two missions, Makeni and Lokomasama. We hope to have pictures soon of the current communities! Categories: Uncategorized | Tags: Africa, diamond mines, port loko, School Sisters of Notre Dame, Sierra Leone, Yengema, YSS | Permalink.